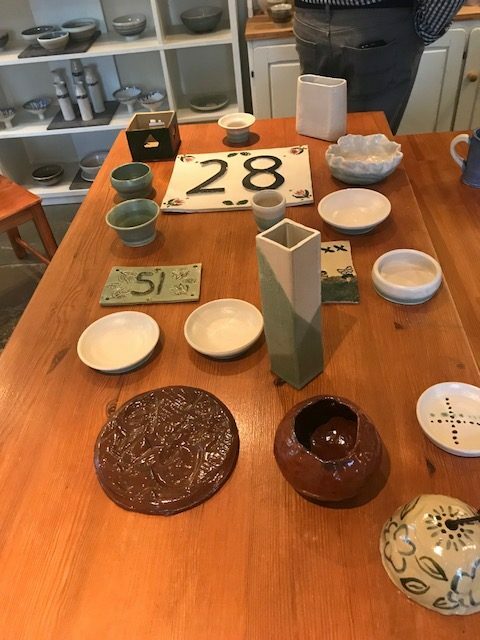 At certain times in the year (usually in Spring and Autumn) we run 8 week pottery courses which go into more depth than our Pottery Trial Classes and cover a wider range of techniques. For 2019 we are hoping to run our 8 week classes on a Monday afternoon (2-4) and evening (7-9) starting March 11th (missing Easter Mon & May Bank Hol Mon) to finish 13th May. So if you are interested please contact us ASAP and let us know so we can add you to the list. The cost of our 8 week courses are be £255 which includes all materials, firing and of course coffee/tea, biscuits and chat! 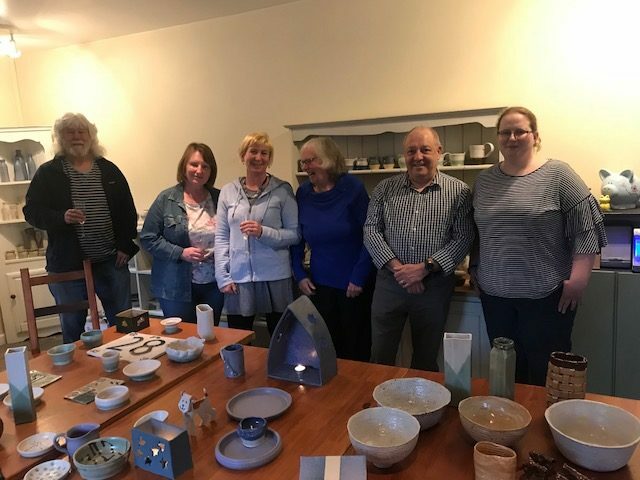 At the end of the courses we usually put on an evening display of all pieces in the gallery and gather as a group (over wine and nibbles) to admire each other’s pots! Contact us to find out more or to register your interest. NB: Min. numbers for a class = 4, max. = 8.